Window & Door Lettering is your customer’s first impression. With the use of vibrant colors and creative images, you can promote your business, sales, specials, grand openings, etc. Window graphics work great in almost any situation. 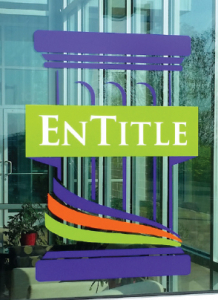 Every window sign adds to the impact your business has on clients, customers, and onlookers. Window graphics can turn virtually any window into an effective marketing tool. 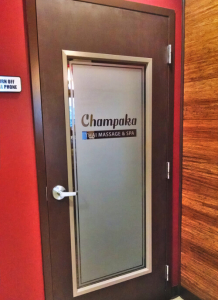 All full color window graphics are printed using vue-thru technology that allows you to see out from the inside of the window but not view through. Looking for ideas? Check out our Inspiration Gallery here. Wall Graphics capture attention and provide amazing impact to an indoor space. Highlight your brand, transform a room, and be transported to another place with large-scale graphics on walls, ceilings, or virtually any surface!